We will eat some turkey meat. We will NOT eat bones or skin. We will eat some plain mashed potatoes. We will NOT eat candied yams with loads of sugar. We will NOT eat stuffing with onions. We will eat plain non-fat yogurt with veggies on the side. We will NOT eat onion dip. We will eat sliced apples. We will NOT eat pumpkin pie. We will NOT eat any chocolate desserts. We will drink some Honest Kitchen Pro Bloom goat milk. We will NOT drink any alcohol. We will also have green beans, a small bit of corn, and some kale. Oh, and some rice, too. You know what?! If mom also ate what we are eating she would probably lose some weight – BOL!! We consider ourselves fairly savvy when it comes to dog food. We are label readers and we certainly know what NOT to eat. Our go-to brands are Stella & Chewy’s and The Honest Kitchen. 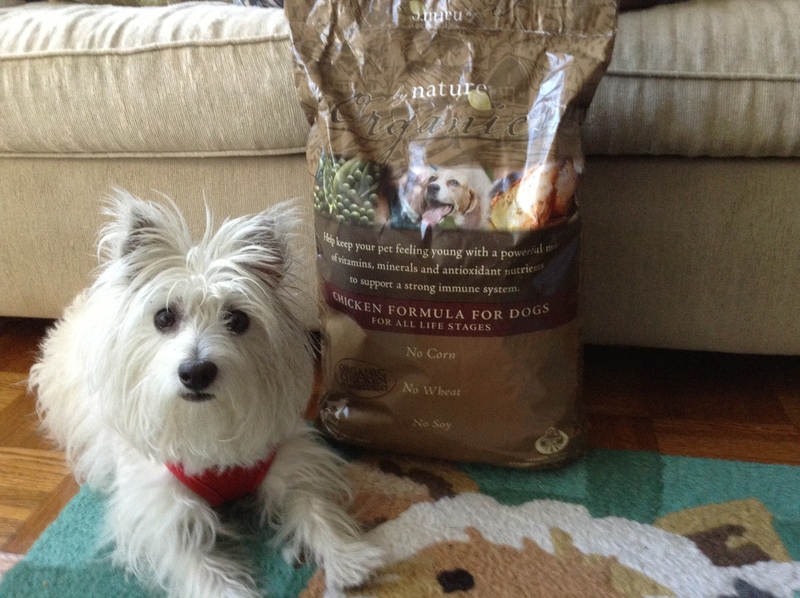 Earlier this summer, By Nature® asked if they could send us some of their dog food to test and review. Before we replied, we did a little research. First, we checked the brand on dogfoodadvisor.com website. The By Nature® Organics dry dog food got a 5-star rating – the top score. Next, we checked out the label on the Organics Chicken formula they wanted to send. The first ingredients are organic chicken, chicken meal, organic oats, organic brown rice. (Chicken meal is a bit of a red flag for us because it could come from rendered chickens, which is really gross!) In general, the label was easy to read with quality ingredients. Also, it is made in the USA. We replied to By Nature and told them we would accept the Organics Chicken dry dog food and try it. Mom likes to use kibble to train us since it’s easy to hand feed as a reward when we’re training. The By Nature won’t replace our Stella & Chewy’s, but we like the Organics food and it’s always good to add some variety to a doggy diet to help prevent allergies. Check the By Nature retail store locator for a retailer near you. 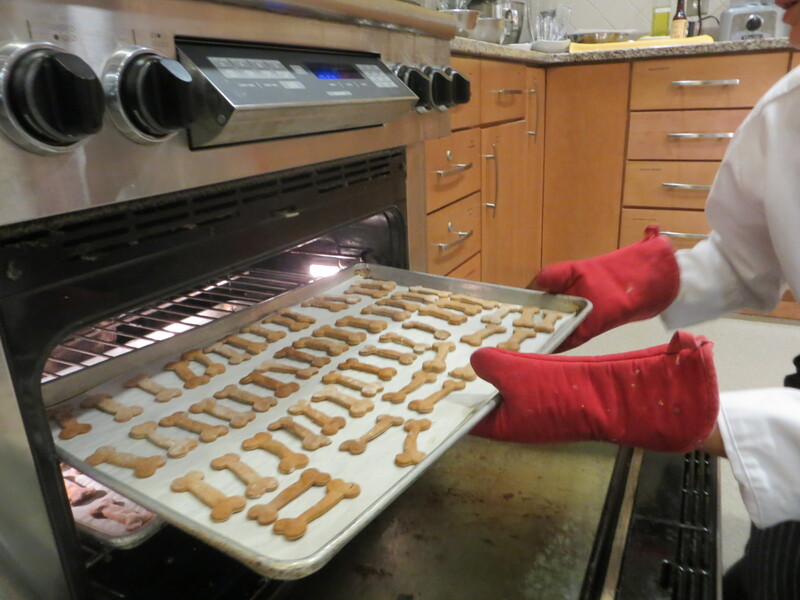 We just bought the new cookbook Home Cooking for Your Dog and we’re excited to try some of the recipes this fall. 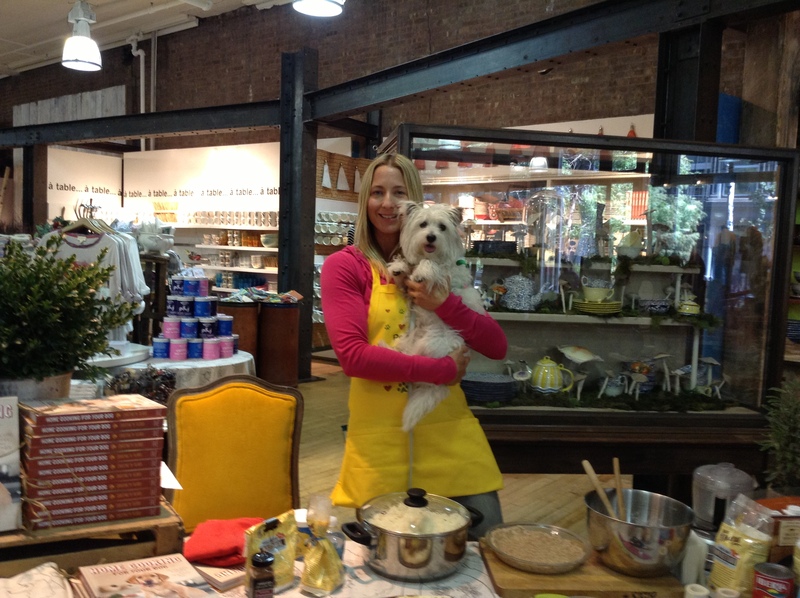 We met the author, Christine Filardi, at the recent #SitStayLove event at Anthropologie. We’ll let you know how that goes!